April seems to be moving a lot more slowly than say, March or February. I think it's because in February I was working really hard with a deadline (plus that silly short month! 28 days, what's up with that?) and in March I had a great vacation to break up the month and to pass the time quickly. Now it just seems like I'm waiting for things to happen - a visit from a friend, the money for the grant, the 10K I'm going to fall over and die while running, and other things that I'm "counting down" to but that aren't happening anytime soon. During the winter I read some clunkers, but lately I've been killing it with choosing great ones to read - I think that's how I'm moving through them so fast, because they're so good! So I thought I'd give a nod to some of the great ones (or not so good ones that had some good quotes) in anticipation of the start of this challenge and because, you guys, I've read 41 books since I got to Moldova. FORTY-ONE. That's way more than I normally get through. "Nevertheless, each time our spirits sank, something would happen to renew our hope. Sometimes it was just a sunset. It was a beautiful sunset." - Jane Mendelsohn, I Was Amelia Earhart // This perfectly describes a bad day in the Peace Corps - maybe nothing is going right, but then, there's a beautiful sunset. Or a phone call from a friend. Or a quote in a book. Something will happen to renew our hope. "And even though these last nine months have been the most trying of my life, they've also been the truest." - Claire Kells, Girl Underwater // I read this just about exactly when I hit 9 months of service, so I don't think I need to explain that one any further. "I feel more like myself. That is all I need: to remember who I am. And I am someone who does not let inconsequential things like boys and near-death experiences stop her." - Veronica Roth, Divergent // Well, maybe boys occasionally, but definitely not near-death experiences..
"'You're the one who has to live with your choice,' she says. 'Everyone else will get over it, move on, no matter what you decide. But you never will.'" - Veronica Roth, Four // Particularly relevant these days, as people try to talk me out of what I believe I want to do. "So here we go, you and me. Because what else are we going to do? Say no? Say no to an opportunity that may be slightly out of our comfort zone? Quiet our voice because we are worried it is not perfect? I believe great people to things before they are ready." - Amy Poehler, Yes Please // Amy Poehler is such a genius. If you haven't read her book, DO. "That is the motto women should constantly repeat over and over again. Good for her! Not for me." - Amy Poehler, Yes Please // See? Genius. If you can believe it, I've got a ton more.. 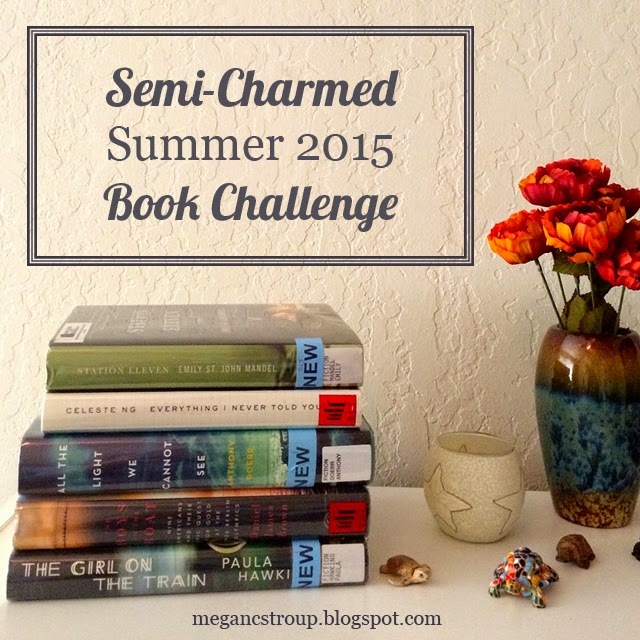 But maybe that's enough, especially because I am still going to add my list for the #SCSBC15 to this post! If you want more inspirational quotes, just ask and I've gotcha. I don't have my animal book yet, and I feel as though some of the others will change when I sit in the PC library for a decade and look at every single book.. But there's the preliminary list! Now I can get back to reading, right...?